Draft: 2011, Kansas City Royals, 2nd rd. Full name is Cameron Joseph Gallagher…resides in Lancaster, Pa., during the offseason...Graduated from Manheim Township (Pa.) in 2011… batted .434 with four homers, 19 RBI, 29 runs scored and 10 stolen bases as a senior…participated in the Aflac AllAmerica Baseball Classic following his junior season...Father, Glenn, pitched in the Toronto Blue Jays' organization after being selected in the third round of the 1981 First-Year Player Draft...Older brother, Austin, was a third-round pick of the Los Angeles Dodgers in 2007. Made the Opening Day roster for the first time in his career and played 22 big league games, batting .206 with three doubles, a homer and seven RBI…appeared in eight of the Royals' first 20 games prior to Salvador Perez's return from the disabled list...Recalled on Aug. 31 and hit his only home run of the season that night…reached base three times, which included a pair of hits in a 9-2 triumph over the Orioles...Made 12 starts behind the plate following his Aug. 31 recall, and allowed just one stolen base in 98.2 innings, after allowing four steals in 53.2 innings in his first stint with Kansas City...Batted .265/.334/.358 (71-for-268) with a career-high 42 doubles in 77 games with Omaha (AAA)...Threw out 20 of 65 would-be base stealers (30.8%), the third-most runners caught stealing and the fifth-best rate among qualifying catchers in the Pacific Coast League. Spent most of the season with Omaha (AAA), where he hit .292 (76-for-260) with five HR and 37 RBI in 73 games ... Debuted on Aug. 6 vs. Seattle (Game 1), entering as a defensive replacement in the ninth inning...made his first big league start on Aug. 6 vs. Seattle (Game 2)…walked and scored his first run in the seventh inning and recorded his first Major League hit in the eighth ... Hit .385/.500/.692 (5-for-13) with five RBI in five games (four starts) during Salvador Perez's 16-day DL stint ... Recorded his first career home run in his fourth game on Aug. 14 at Oakland, a grand slam off Jharel Cotton in the Sonic Slam sixth inning…the Sonic Slam won Tim Brown of Shawnee, Kan. $25,000 and was the eighth Royals' Sonic Slam since the promotion began in 1995 and first since Lorenzo Cain did it on July 4, 2013 ... Became the second Royal to have his first career HR be a grand slam, joining fellow catcher Paul Phillips on Aug. 17, 2005 vs. Seattle…he's the first Royal to hit a grand slam within his first four career games ... Made two starts (eight outings) in September, going 1-for-11. Spent the entire season with Northwest Arkansas (AA), where he played in 91 games, including 79 starts behind the dish...Led Texas League catchers in total chances (713), putouts (648), assists (62), double plays (nine) and caught stealing percentage (.476, 30-of-63)...Batted .259 (78-for-301), his highest mark since 2012 (.276)...Recorded his first career multi-home run game on July 21 in an 8-1 win vs. Springfield. Spent the entire 2015 season at Wilmington (A)…missed a pair of stretches due to stints on the disabled list ... Ranked second among Carolina League catchers with a .323 on-base percentage and fifth with 15 doubles in 2015. Named a Carolina League All-Star in 2014 and went 1-for-2 with a single in the Carolina League vs. California League game ... Threw out 40 percent (50 of 125) of would-be base stealers in 2014. August 31, 2018 Kansas City Royals recalled C Cam Gallagher from Omaha Storm Chasers. June 24, 2018 Omaha Storm Chasers activated C Cam Gallagher from the 7-day disabled list. June 17, 2018 Omaha Storm Chasers placed C Cam Gallagher on the 7-day disabled list retroactive to June 16, 2018. April 24, 2018 Kansas City Royals optioned C Cam Gallagher to Omaha Storm Chasers. March 29, 2018 Kansas City Royals recalled Cam Gallagher from Omaha Storm Chasers. March 18, 2018 Kansas City Royals optioned C Cam Gallagher to Omaha Storm Chasers. October 13, 2017 C Cam Gallagher assigned to Tigres del Licey. September 1, 2017 Kansas City Royals recalled Cam Gallagher from Omaha Storm Chasers. August 22, 2017 Kansas City Royals optioned C Cam Gallagher to Omaha Storm Chasers. August 6, 2017 Kansas City Royals recalled Cam Gallagher from Omaha Storm Chasers. June 11, 2017 Omaha Storm Chasers activated C Cam Gallagher from the 7-day disabled list. June 1, 2017 Omaha Storm Chasers placed C Cam Gallagher on the 7-day disabled list retroactive to May 30, 2017. March 17, 2017 Kansas City Royals optioned C Cam Gallagher to Omaha Storm Chasers. November 18, 2016 Kansas City Royals selected the contract of Cam Gallagher from Northwest Arkansas Naturals. August 23, 2016 Northwest Arkansas Naturals activated C Cam Gallagher from the 7-day disabled list. August 9, 2016 Northwest Arkansas Naturals placed C Cam Gallagher on the 7-day disabled list. April 6, 2016 C Cam Gallagher assigned to Northwest Arkansas Naturals from Wilmington Blue Rocks. January 19, 2016 Kansas City Royals invited non-roster C Cam Gallagher to spring training. November 9, 2015 C Cam Gallagher assigned to Surprise Saguaros. June 4, 2015 Wilmington Blue Rocks activated C Cam Gallagher from the 7-day disabled list. May 30, 2015 Wilmington Blue Rocks placed C Cam Gallagher on the 7-day disabled list. May 10, 2015 Wilmington Blue Rocks activated C Cam Gallagher from the 7-day disabled list. May 3, 2015 Wilmington Blue Rocks placed C Cam Gallagher on the 7-day disabled list retroactive to April 2, 2014. 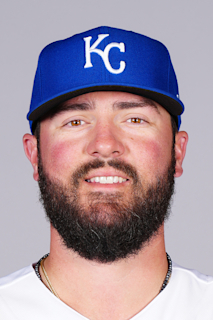 January 26, 2015 Kansas City Royals invited non-roster C Cam Gallagher to spring training. April 2, 2014 C Cam Gallagher assigned to Wilmington Blue Rocks from Lexington Legends. March 21, 2014 C Cam Gallagher assigned to Kansas City Royals. September 6, 2013 Lexington Legends activated C Cam Gallagher from the 7-day disabled list. August 29, 2013 Lexington Legends placed C Cameron Gallagher on the 7-day disabled list. August 17, 2013 Lexington Legends activated C Cameron Gallagher from the 7-day disabled list. August 9, 2013 Lexington Legends placed C Cameron Gallagher on the 7-day disabled list. June 11, 2013 Lexington Legends activated C Cameron Gallagher from the 7-day disabled list. April 25, 2013 Lexington Legends placed C Cameron Gallagher on the 7-day disabled list. March 29, 2013 C Cameron Gallagher assigned to Lexington Legends from Burlington Royals. June 13, 2012 Cameron Gallagher assigned to Burlington Royals from Idaho Falls Chukars. August 30, 2011 Cameron Gallagher assigned to Idaho Falls Chukars from AZL Royals. August 2, 2011 Cameron Gallagher assigned to AZL Royals from Kansas City Royals. August 1, 2011 Kansas City Royals signed C Cameron Gallagher.